While drive a little south of Ureshino's centre in between the deep green Mount Shibasan and rice fields, you will see only one building standing peacefully in the middle. Hear the wind pass through the mountain, the rustle of the trees, the birds' chirp, the voice of insects: the sound of nature and beauty of the ravine as changes with the seasons. 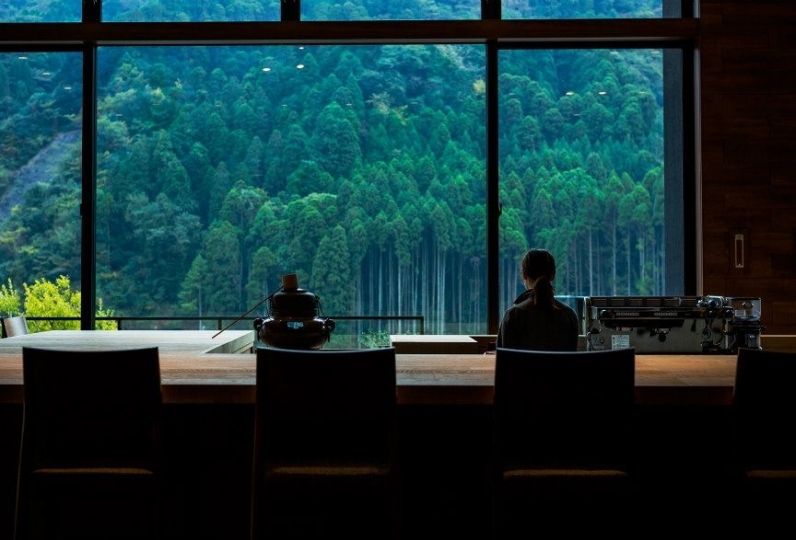 Let nature and your luxurious surroundings unravel you from your stress and daily life. 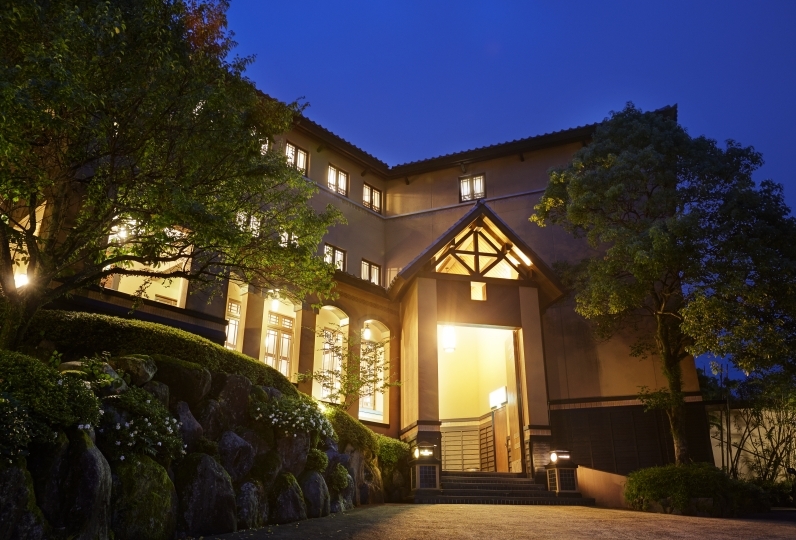 Ureshino's well known hot spring can be counted as one  of the big 3 springs for beautiful skin in Japan. Listen to the trickle of the river and relax while the water heal your body and soul. The meals for your journey will be Shiba Sansou's pride, "Mori Komi Cuisine." 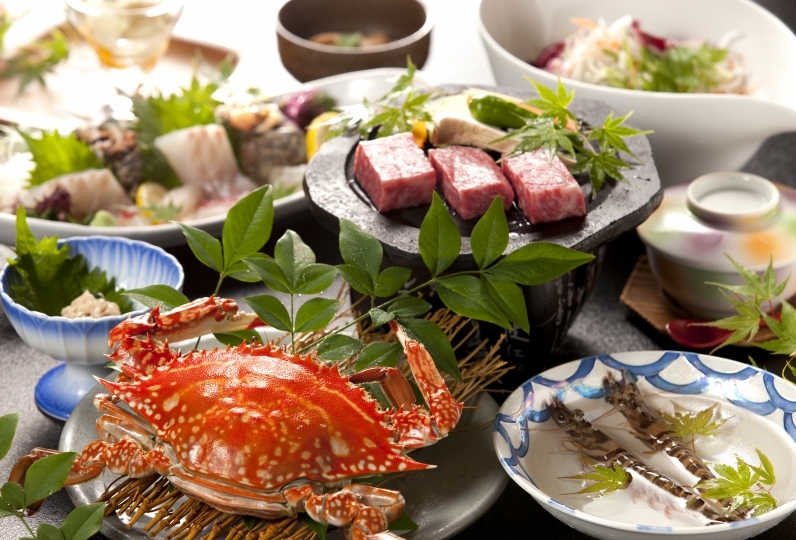 Appetizers, small cuisines, and various dishes cooked in Kyoto style will be brought out one by one. The food, which is enough to feed the whole party, are piled onto a big plate. Take in the tranquil scenery of your surrounding while you enjoy your meal with your companions. It would be like returning to the countryside. On the side of Shiba River there is still nature untouched by human hands. You would never think that there is such extravagance in the middle of nowhere. Very good service, including staff, meal, and facilities. Everything is fine, but the sound insulation effect needs to be strengthened. I went in the winter, the scenery is estimated to be no good in spring, summer and autumn, the service did not say, dinner and breakfast are good. 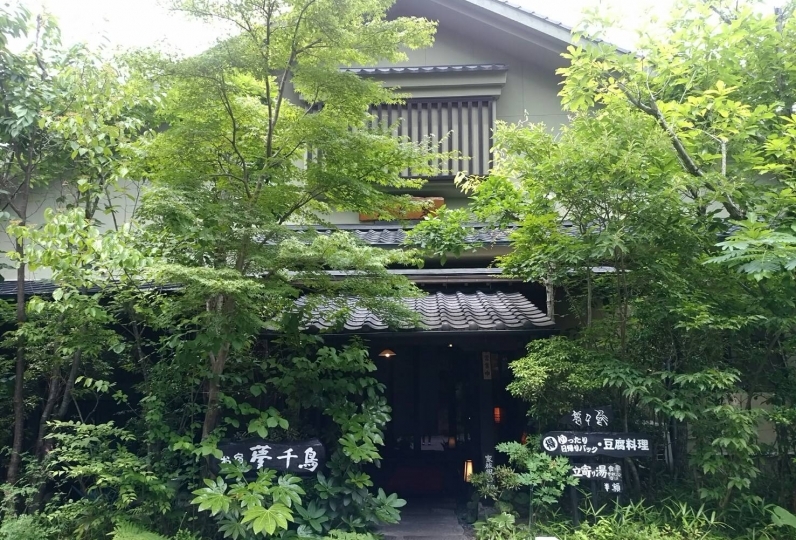 Ureshino onsen is one of the three best hot springs in Japan if you want beautiful skin. 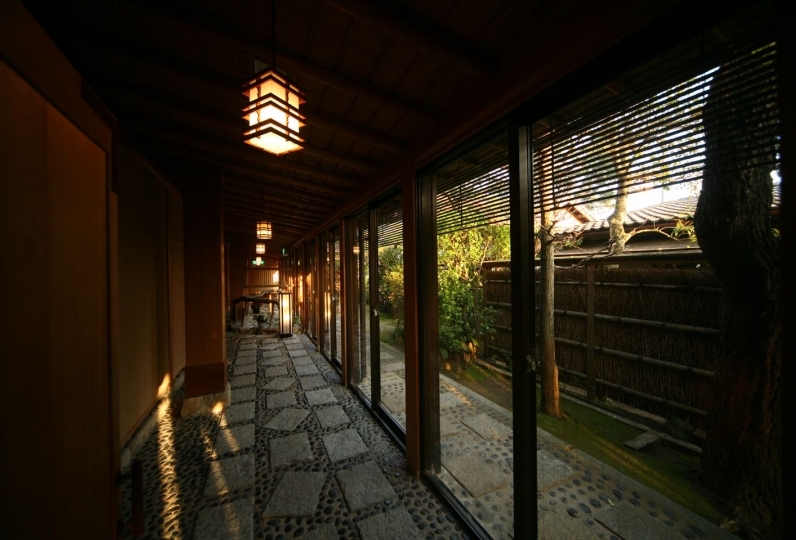 We provide various different baths to enjoy this special hot spring. A large open air bath where you can enjoy the changing season under the large sky. You can feel liberated and use the outdoor bath along the mountain stream and an indoor bath where you can enjoy the greenery of the mountain in front of you. Takes 30 min by JR bus From JR Takeo Onsen Station. * For guest hoping to be picked up/ dropped off please let us know. 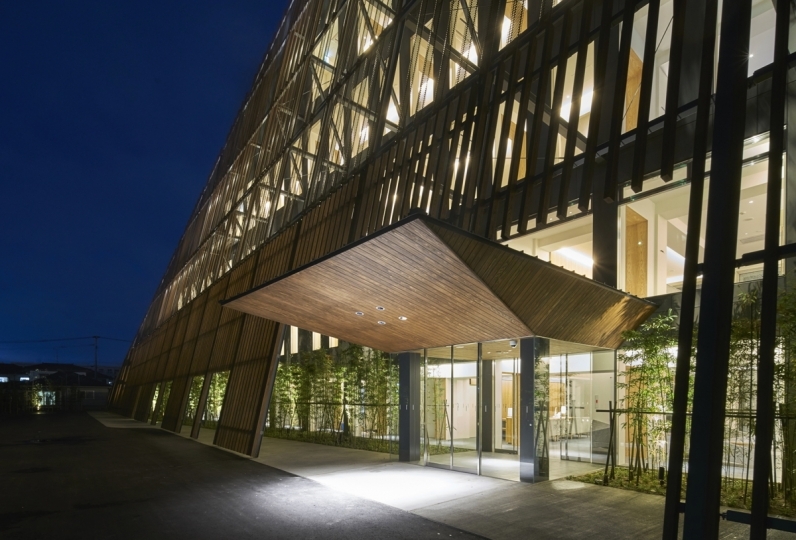 - schedule is arranged to be of service to all arriving and departing planes from Ariake Saga airport. - For reservations, please contact us before 12pm, at least 1 day in advance.